My family loves this soup..it will warm you on a cold day. Received this recipe from a friend although I changed it a bit. Fry beef, onion, and celery together until beef is browned and onion and celery are cooked. Add taco chips, shredded cheese and sour cream to your individual soup bowls. Spread the tortilla shells with a good tablespoon of refried beans. Mix together the black beans, corn, green chilies left over chicken and chopped onion. Mix together the mushroom soup and sour cream to make a sauce. Put one third of sauce on the bottom of the pan. Put one third in with the chicken mixture. Divide the chicken mixture between the tortilla shells, and roll up. Lay them in a greased 9 by 13 pan. . you may need another pan. Put the remainder sauce on top of the tortillas. . .and sprinkle with the cheese. Bake in a 350 oven for about 30 minutes or until the cheese is bubbly and the dish is heated through. Serve with salsa .. .guacamole and tortilla chips. I missed eating raisin bread, so I worked at coming up with this recipe. my gluten-loving husband likes it ! An hour or more before you want to make this bread, soak 3/4 cup of raisins (or more if you are like me and like to snack on them! ) in 2 tbsp. of vanilla. ** I make my own Vanilla by buying a bottle of light Rum, adding several scored vanilla beans and let it sit for 6 months or more until it is dark. Add dry ingredients and beat on high speed for 2-3 minutes until batter looks smooth and stretchy. Bake at 350 degrees F. for 45 minutes or until nicely browned. Don't under bake. 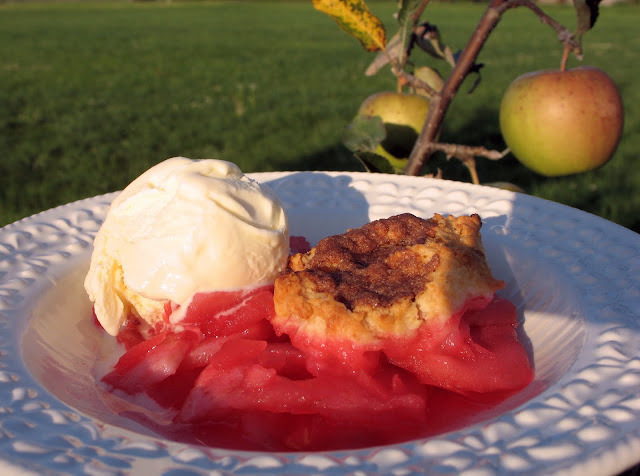 This recipe came from my sister-in-law many years ago, who happened to live in an apple orchard and served up the best apple dishes to all who stopped by. I have made it on many occasions over the years, at times in large pans to feed a crowd. Place in a 9" x 12" greased baking dish. Combine water, sugar and colouring and boil to a syrup (about 5 minutes) over medium heat. Top with cinnamon puffs (directions below) and bake at 375° for about 30 minutes. Serve warm with premium vanilla ice-cream. Cut in butter with pastry blender to form crumbs. Stir in milk to make a soft dough. Drop by spoonfuls on top of apples. Combine melted butter, sugar and cinnamon for topping. Make a dent in the top of each puff and spoon on a little topping. 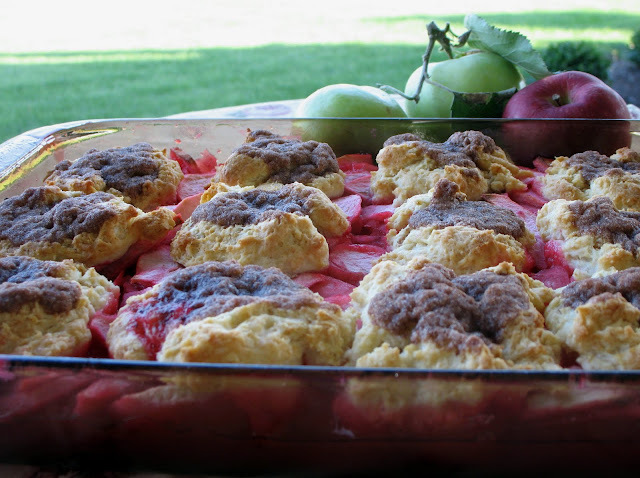 Notes: If the apples are rather slow-cooking, I place the pan in the oven for some fifteen or twenty minutes to pre-cook before topping with the cinnamon puffs. 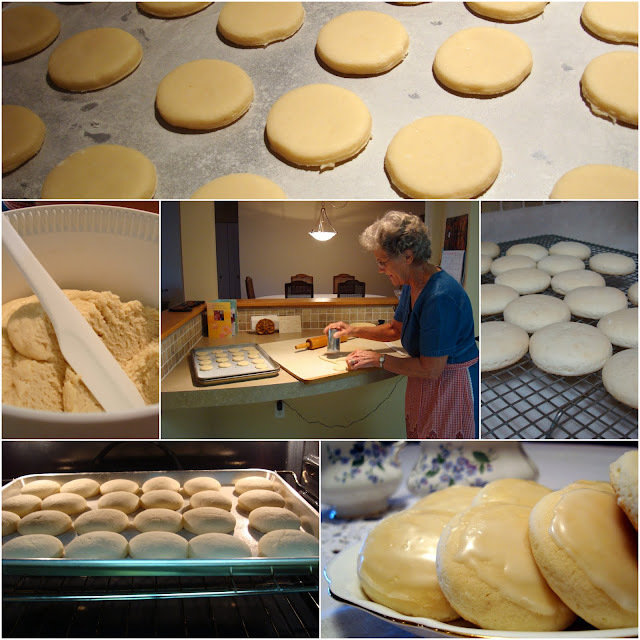 My mom by love has been making these cookies for our family for some time now. She got the recipe from her friend Sally who got the recipe from her grandmother. They are soft and tender and freeze wonderfully. I usually take out one cookie from the freezer. . .putting it aside to thaw. ..but have yet to taste it completely thawed . .. .since I just can't wait. Cream the softened butter and the sugars and salt. Add the eggs and stir well to combine. Stir together the buttermilk and baking soda. Stir the flour and baking powder and buttermilk and soda into the creamed mixture. Bake at 375 F for 7 - 10 minutes. Stir together the icing sugar, milk to make a thin spreadable icing and a little lemon extract. Spread over cookies and if you want to dress them up seasonally. . .give them a few sprinkles before the icing sets. The picture caught my eye in a Readers Digest magazine, where Bonnie and Fran regularly submit recipes. I enjoy any kind of bean dishes and I quite liked the exotic spices and flavors in this soup. The original recipe is vegetarian, but I made some minor changes to suit our likes. Heat oil and add onions, garlic, ginger root, hot pepper flakes, cumin and cinnamon. Cook for about 2-3 minutes, stirring. Add carrot, celery and tomatoes. Bring to boil. Add chicken stock, lentils and chickpeas and continue cooking another 30 – 40 minutes. Add cooked chicken near the end. Season with salt and pepper according to taste. Add lemon juice and sprinkle with cilantro just before serving. If you make this soup ahead, it will thicken as it stands – just add water or broth according to taste. You can make this bar recipe in a 11 X 17 small cookie sheet but it bakes up wonderfully in tart pans. I prefer to have a little edge crust on every piece. I used one 11 " and one 8 " tart pan. which bakes into a beautiful gem colored tart. In a large bowl, combine the flour and salt. . .cut in the butter and shortening until the crumbs are the size of oatmeal. You can use your food processor for this too, pulse, don't run at full speed. Slowly add to the flour mixture, pulse with the food processor until it begins to come together or mix in with your fork. Dump it all onto the counter and knead it into a ball, just until it comes together. Wrap in a plastic wrap. . shaping it into a flat rectangular disk. Slice apricotsand mix in sugar and tapioca. Divide the pastry dough into two parts. . . the larger tart pan will require about 2/3 of the total. Do this pan first and use the remainder to add to the smaller tart pan. Divide each part in half and roll out very thinly using flour to keep from sticking on the counter. Use a bench scraper to slide under the pastry dough to keep from tearing. Carefully transfer into the tart pan by rolling the pastry around the rolling pin. Divide the filling between the two tart pans. Cover with remaining pastry, and crimp the edges shut. Beat the egg whites until very soft peaks form and with your hand. . .spread it over the crust. Bake in a 400 F oven for about 40 minutes or until golden brown. The smaller one will be done sooner. I have made this recipe many times and usually put a chocolate icing on top. I was intrigued by this different topping so decided to try it. This recipe is found in 'Cooking with Grace' cookbook. 4. Spread in large cookie sheet.. approx 13" x 17"
5. Bake in 375º oven for 20 minutes. 1. When cake is baked spread marshmallows over the top and put cake back in oven until the marshmallows melt. Set aside to cool completely. 2. Melt chocolate chips and peanut butter in microwave for 1 minute, stir in rice krispies and spread over cooled cake. Chill in fridge to set the topping. 3. This cake freezes well. One of the worship songs that always tugs at my heart when we sing it, is Love Came Down by Ben Cantelon. It reminds me of the first Bible Verse I ever memorized as a child that I actually kind of liked . . . and looking back now, I can see I've tried it and have found it to be true. I love the way a sweet little missionary lady I know (the mother Teresa kind) shares God's phone number with anyone she can. "Do you know it? "she asks, "It's Jeremiah 29:12"
Now that summer is all but over . . you may think about putting your grill away. . .but if you have a covered gas grill . . . try barbecuing chicken the easy way. Beer can chicken has been around for awhile but if you don't drink beer . . .there is a chance you haven't tried this easy recipe. What ever you use to steam your chicken from the inside is really beside the point. You can use beer with no alcohol, cola. . or put chicken broth in the can too. If you are starting with a full can. . empty it down to 2/3 full. Use a can opener to put additional holes in the top of the can. Rinse and dry your chicken inside and out. Sprinkle it liberally with Cajun seasoning or seasoning salt if you don't want it spicy. .. inside and out. I purchased a rack to set my can on . .to stabilize the whole chicken.. . but you can simply put your can on a older metal pie plate or square pan. Preheat your grill to 350 F. If possible. . .leave the center burner off and turn on the outer burners. If you can't do this. . .preheat one side and set your chicken on the other side. . and turn your chicken occasionally. Set your chicken on the can. .firmly. Put your chicken on the grill. . . close the cover. .and cook it about one hour. Test to make sure it is done by piercing the thigh . .juices should run clear. The thigh should be tender and easily twisted in its socket. If it is the first time you are making it on your grill .. depending on the size of your chicken. . .leave additional time ..the chicken can sit with foil on it for awhile before cutting it up and be kept warm in the oven while your side dishes finish. I'd rather be waiting for my side dishes to finish than be waiting for the chicken to be done. Remove the chicken from the grill . ..you'll need to use clean pot holders. . .. Be careful. The remaining broth in the can is very hot. You may want to use some paper towels with your pot holders. .it can be a bit messy. Leave the pan on the grill for now. .just lift the chicken off the can. Cover with foil a few minutes. .and cut it into serving pieces. 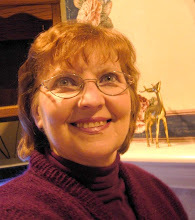 I went over to my Mom’s to take photos of her while she was starting to bake Peppermint Cookies for the MCC Relief Sale. This is one way that she still feels she can contribute to a good cause with a gift that God has given her. She looked so cute in her jean dress and red checkered - embroidered apron, a gift from her own Mom! Peppermint Cookies are soft white cookies that have a unique strong scent while they bake, because of the baking ammonia in them. I wondered if they could be made without ammonia and just peppermint extract, and she said that they would not be as “fluffy nor flavorful.” It’s the baking ammonia, which is a type of leavening agent, that gives them the distinct light texture, and peppermint oil does not evaporate, the way extract would, while baking. The little Mennonite ladies in our community find these things somewhere by word of mouth. It’s 'this delicatessen' or 'that bakery', but because this site is internationally read, I would suggest a candy making supply store, health food store, drugstore (ask pharmacist) or checking online. In large mixing bowl, beat butter and sugar, then beat in the eggs one at a time. Dissolve baking ammonia in hot water. May need to use a spoon or your fingers to make sure there are no lumps. Add oil, sour cream, peppermint oil and baking ammonia to egg mixture, beating each in well. In separate bowl mix dry ingredients and add to wet ingredients, stirring with wooden spoon or using a hook attachment on your large mixer. Cover and let stand in fridge overnight. Prepare cookie sheets (preferably light colored, aluminum) by coating lightly with shortening (using a paper towel). Then sprinkle lightly with flour, tilt cookie sheet and tap ends to allow flour to spread evenly all over. Divide dough into four parts to roll out. Roll out to ¼ - 1/3” thickness, using a light dusting of flour on rolling surface as well as on top of dough. Cut with small round cookie cutter or small tomato paste tin. If desired, make a thin icing with confectioners sugar and whipping cream, mixing to a consistency that easily spreads on cookies. With fresh fruit readily available at this time of year...here is a fairly simple way to prepare a fresh fruit torte for a large group. I was given this recipe by my friend Wendy several decades ago...and have prepared it just as it is many times. Mix cake according to directions; spread in sheet cake sized pan (lined with parchment paper) and bake for 15 minutes. Cool. Remove from pan. Prepare glaze by combining ingredients and microwaving on Medium/High until thickened and clear...stirring every minute. Cool. Spread half of glaze on base. Arrange sliced fruit on glaze-topped cake. When making fruit flans in round pans, I always add a custard layer, and so I decided to use the same custard as a base for the fruit on the sheet cake. 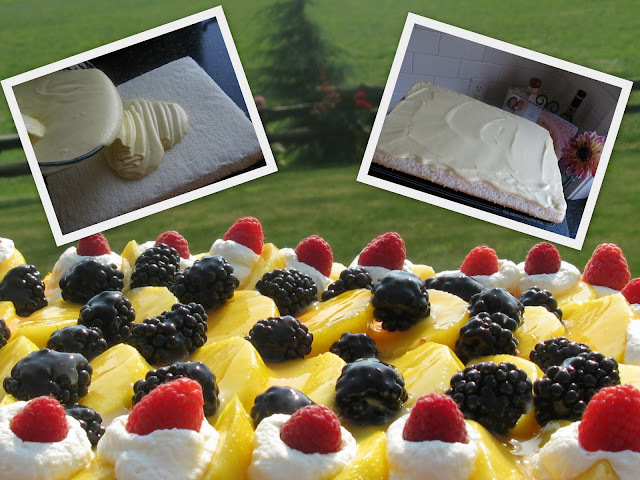 Spread custard over sheet cake; top with fruit, spread with glaze and decorate as desired. Cool slightly, then beat in softened cream cheese until smooth. This custard is enough for two fruit flans...it stores well in the freezer. 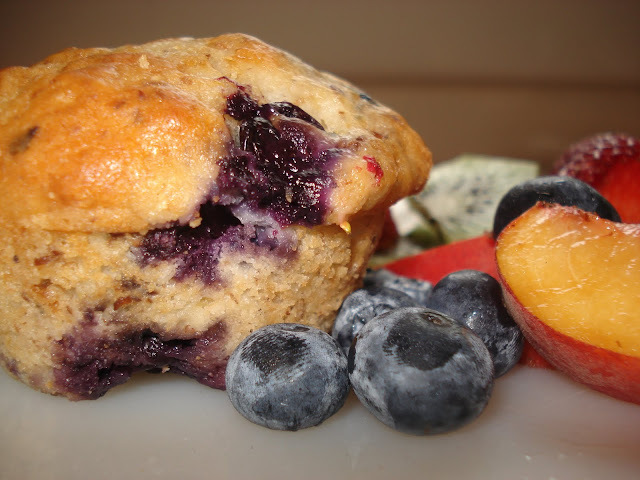 The muffin is moist and great take along snack for packed lunches. I also like it served with a slice of cheddar cheese. Delicious. 1 1/2 cups flour (try 1/2 cup of whole wheat, and 1/2 cup of bran replacing 1 cup of all purpose flour, or replacing 1/2 cup of flour with 1/2 of oats)to increase fiber. Chocolate chips or raisins as desired. Sift together, flour, baking powder baking soda and salt. Combine sugar, oil, egg and mashed bananas. Stir in the dry ingredients, batter should be lumpy. Fold in the chocolate chips, or raisins. Bake at 375 for 18-20 minutes or til golden brown. Cool 5 minutes and remove from the pan. This recipe came with my food processor. The original recipe had coconut, pecans and raisins, but I wanted a plain cake style cupcake. The texture is light and very moist, and the cream cheese frosting makes them a special treat. These freeze well, with or without the frosting. Grate carrots into a large mixing bowl. Add sugar, oil, eggs and vanilla to carrots. Mix well with mixer, or if using a food processor, process for 8-10 seconds. Scrape sides of bowl and mix or process until sugar is dissolved. Add remaining ingredients all at once and mix or process until just blended. Pour batter into 24 lined muffin tins (or 2 greased and floured 9" rounds, or 1 9"x13"). Bake at 350ºF for 12- 15 minutes (for larger cakes bake 30-45 minutes) or until wooden pick inserted comes out clean. Cool in muffin tins for 5 minutes (cake pans 10 minutes) and then remove from pans to cooling rack. Once cooled frost with cream cheese frosting. Mix together all ingredients until you have a smooth frosting. If it is too thick add a little more milk until frosting is spreading consistency. This frosting works well in a decorating bag, and can also be colored with food coloring. Freezing tip: Place frosted cupcakes on a cookie sheet and place uncovered in freezer until frozen. Transfer in a single layer to a freezer container. This frosting does not freeze hard so do not stack cupcakes. Some icings do freeze hard and then you can layer cupcakes after they are frozen using a sheet of wax paper between layers. Years ago I was doing a drapery consultation for an Italian family in Vancouver. The home belonged to the grandparents but children and grandchildren were visiting. They introduced me to Biscotti that the grandmother had made - obviously a treat for her grandchildren. I never dreamed that one day in the future I would be the grandmother making Biscotti as a treat for my own granddaughter. My youngest granddaughter's favorite is Chocolate Biscotti spread with Nutella. I love how her eyes light up when I tell her I've made it for her. *Slowly add dry ingredients to wet and beat until well mixed into smooth dough. *Form soft dough into a ball and refrigeratefor 1 hr. or overnight. 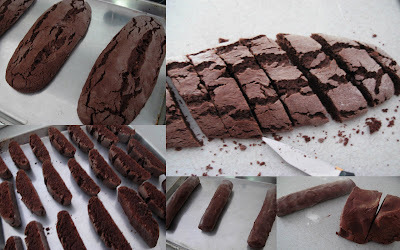 *Divide dough into three pieces, form each piece into a log, and place on a large baking sheet. *Bake at 350' for 20 minutes. Let cool , then cut into diagonal slices. Place face down on baking sheet and bake until dry - another 15-20 minutes. *Let air dry until completely cooled. We love food from South America, and have had the privilege of traveling a lot of these countries, however Chile is still one that we have not been to and hope to see one day. Until then we enjoy a little Chilean restaurant in our downtown. Our favorites are cheese empanadas which are deep fried or these beef ones which are baked. Like all recipes they have an original origin and changed throughout family preferences. 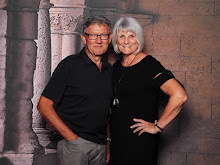 I got the recipe a long time ago when I bought a cookbook that Avon was selling called "The Avon International COOKBOOK" collected from their Representatives around the world. (It is on page 25 is you have it.) Submitted by Patricia Sanchez Correa Santiago, Chile. 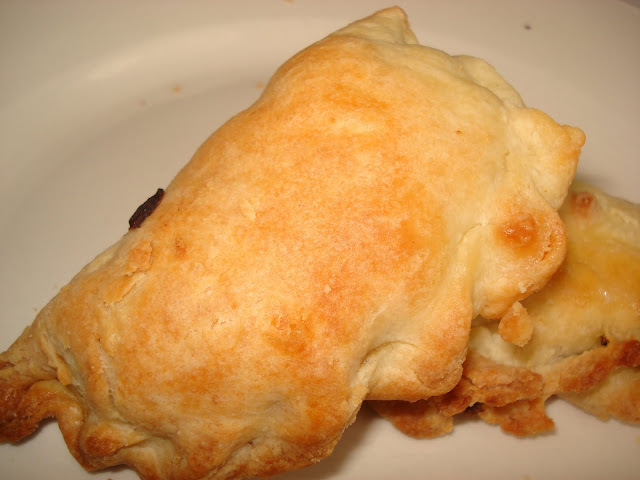 These sturdy, meat filled turnovers are common to the South American diet. In a skillet cook the beef and onion in oil til meat is done and onions are tender. Stir in the flour, red pepper and salt. Cover and cool, when cooled add olives eggs and raisin. In a bowl combine the flour, salt, with the hot milk and melted lard. Work dough with hands until well mixed. On a lightly floured surface roll each portion in to a 6" circle. Divide meat mixture evenly among all the circles. Fold over the dough and crimp edge or use the fork to seal. Transfer to a baking sheet and bake at 400 for 20 to 25 minutes or til golden. Just a personal note, I have noticed that it is best not to more than double the recipe for the pastry, other wise it does not work well. Actually I have the best results with working one recipe at a time. I recently made 64 of these to freeze for lunches. It is a nice change from sandwiches. Or serve along a nice bowl of soup and salad and you have a great supper. This is a great dessert for a large group because you can make it ahead and have no fuss, but a nice presentation at the end. It’s also convenient to have exact servings and only pull out the number you need. This amount of filling also fits into one chocolate graham wafer pie crust. Put wafers in bottoms of muffin tins. 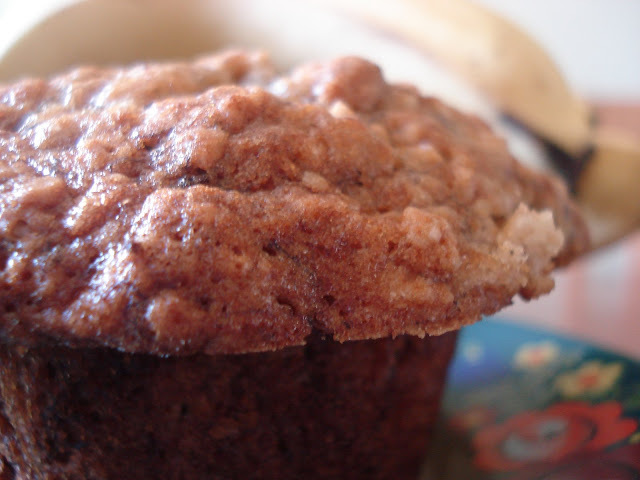 I use Mr. Christie’s Chocolate Wafers and put them into the extra large sized muffin tins. You don’t have to use liners, but you can. It adds a rippled effect, but you have to remove the paper as soon as you take them out of the freezer, before sprinkling with chocolate shavings. Dissolve coffee in water; set aside. Beat together cream, pudding and cinnamon, about 2 min. Add cool whip and coffee, beating to mix well. Pour into muffin tins. Freeze. Remove from muffin tins onto serving plates. Decorate with chocolate shavings. Serve frozen. Stir Fry is a good dish to make when you have things in your fridge like a half a pepper, a few mushrooms and the end of a zucchini . When we buy a whole beef tenderloin to cut into steaks, I save the narrow ends for this stir fry. This recipe can also be used for a pork stir fry. Drain meat, reserving the marinade, and saute' in 1 tablespoon hot olive oil just until meat is browned. Add onions and mushrooms and peppers and stir fry until vegetables are almost tender. Add zucchini strips and meat. Add Hoisin sauce, balsamic vinegar and orange juice and as much of the marinade as needed to make the amount of sauce you prefer. Cover and let cook for 2 or 3 minutes. Mix 2 teaspoons cornstarch with a little more cold orange juice and stir into the sauce in the pan. Cook until sauce thickens. If needed, you can add more cornstarch and juice to thicken it to your liking. Serve immediately over rice or thin noodles. Cream butter with both sugars, add egg and vanilla and mix well. Combine flour, oatmeal, baking soda, salt and mix well with creamed mixture. Drop by teaspoon on parchment lined baking sheets. Bake at 375º for 10 minutes. Cool on baking rack. It's the time of year where we are known far and wide for our high-quality Chilliwack Corn. Every fall I can't wait to dig in and pull the last of the fresh potatoes, carrots, onions and of course fresh corn. This year is been extra special, as we have our own fresh corn. Corn Chowder Soup has been a favorite for years. It brings back memories to many ski vacations. I will give you the original recipe, whereas I actually double all the vegetables. We all like our soup thick. 2 - 10-ounce tins creamed corn ~ I use fresh corn from about 4 large cobs. Cook potatoes, carrots, and celery together in a small amount of water. Drain. Saute' onions, green peppers and meat. 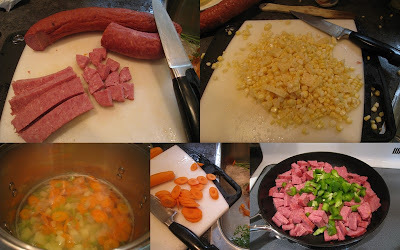 Place meat, vegetables, and remaining ingredients into a large soup pot. If using fresh corn, cook and remove kernels. Heat slowly as milk tends to scorch easily. Stir often. Tip: Reheat the chowder in the microwave to prevent scorching. You can almost taste this. Imagine the aroma in your kitchen. Hope you can all get out there and find some fresh Chilliwack Corn. I freeze this soup. No soup tastes as good as fresh, but when one does not have the fresh produce in winter, this is second best. Homemade dill pickles just like the ones my mother used to make are on my 'to do' list every summer. There's just something about homemade dills that can't be found on the store shelf! This is my mom's recipe...the same pickles I grew up with. Wash cucumbers well...and leave in tub of cold water while packing jars. Mix vinegar, water, sugar and the salt in a large pot. Stir the mixture well. Heat to a rapid boil on medium-high….then keep simmering while filling jars. Prepare wide-mouth 1-quart jars. In each jar, put 1 piece of garlic, one head of dill, two small chili peppers and then enough cucumbers to fill the jar. Then add one more garlic piece and another sprig of dill. Fill jars slowly with the hot brine and seal (being sure to clean all residue from the top of the rim of the jar first). Place the lidded jars in boiling water bath for about 15 minutes…water in canner should cover the tops of the jars. 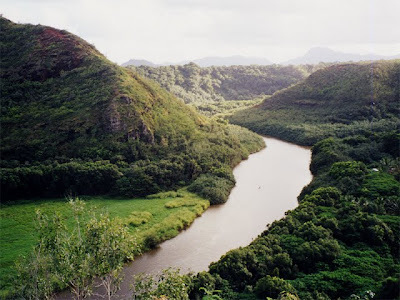 *If your water is hard, high in mineral content or has chlorine added, use bottled water. ** Pack the cukes into the jars really tight…they shrink as they are processed. If you like a little zip to your pickles...be generous with the red chili peppers! The Lord, He is the One who goes before you. He will be with you. This recipe was given to me from my friend Betti. It is the perfect substitute for a veggie platter at a shower, and is best served on the day it is made. Separate crescent rolls and press into a lightly greased 9x13 pan, covering the bottom to form a crust. Bake at 350º oven for 10-12 minutes until lightly browned. You will need a total of 2 cups of finely chopped vegetables. The amounts are a guide line, use what you enjoy. You can also add other colored peppers and radishes. Mix all chopped veggies together and spread evenly over topping. Lightly press into topping. Refrigerate. Cuts into approximately 48 small squares or diamond shapes. This is a very quick and easy appetizer. 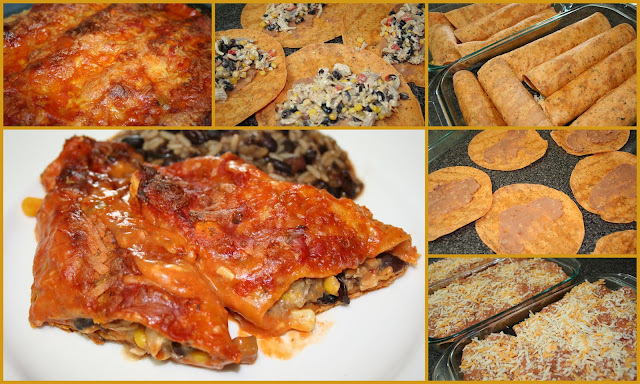 If you have the ingredients on hand it only takes a few minutes to put together and it is delicious. Beat cream cheese until light and smooth and spread on a small platter or dinner plate. Spoon prepared pesto over cream cheese, leaving a bit of the cream cheese showing around the edge. Arrange the sun dried tomatoes evenly over the pesto layer. If they are large, cut them into smaller pieces first. Sprinkle with pine nuts and refrigerate for an hour or so to blend the flavours. Char, another gal from MGCC was so gracious to give me her recipe..I am honored to share it here with her permission of course. It is a unique and interesting jam. I would have never thought to put these ingredients together. You are right Char this jam is very good on scones! And on toast or freshly baked buns or any bread you may have. In a large saucepan on high heat, boil rhubarb and water till the rhubarb is soft stirring the whole time, this takes only a few minutes. Add sugar and blueberry pie filling, and bring back to a boil. Turn down heat to medium high and boil for 8 minutes. Remove from heat and add jello powder. Ladle into pre-washed and still hot jelly jars. Here it is a bubbling away in the pot. It is good to use a tall pot as the jam tends to splatter as it cooks. I used a tall pot and I still got some splatters on me and on the wall. I use a red floral bib apron when I make jams and jellies just so I stay clean and the stains never show on the apron! It is really a very simple jam to make so go ahead and try it. Just make sure you have fresh scones ready! Many years ago when I was still a young wife, I learned the secret to peeling hardboiled eggs from a young man who had been invited into the news studio to demonstrate his technique during the evening news hour. I have always peeled eggs this way and thought that everyone had learned to do it the same way, but I find that many women still peel eggs laboriously the hard way.. bit by bit. In case you have never stumbled across this trick, I thought I would demonstrate it for you in a little home video. My husband kindly agreed to hold the camera. 1. cover eggs in pot with cold water... add salt so that if an egg crackes the egg stays in the shell. 2. turn element on high and timer for 20 minutes -- it takes about 10 minutes for the water to boil and ten minutes for egg yolk to harden. 3. remove from stove , immediately put pot under the cold water tap . 4. as soon as you can handle the eggs break the shells against the side of the pot. ADDED HELPFUL HINT - We like our eggs hard-boiled, but there have been times when I take them off the stove a little sooner .. I do find that they peel better when they are boiled longer. So if you are having some problem with the shells falling off... try boiling them a minute or two longer..